Your heart pumps your blood through tubes (blood vessels) called arteries and veins. When your blood moves through the blood vessels, it pushes against the inside of them and creates pressure. Blood pressure is the pressure created inside your arteries and veins when your blood flows through. High blood pressure (hypertension) means your heart is working too hard to pump your blood. It usually shows no signs. The only way to know if you have high blood pressure is to get tested. When blood lows too forcefully through the tiny blood vessels in your kidneys, this can hurt or weaken these tiny vessels. Over time, this can lead to kidney disease. Kidney disease can cause high blood pressure. Healthy kidneys help control your blood pressure. When your kidneys don’t work well, they don’t do a good job controlling your blood pressure. This can cause high blood pressure. 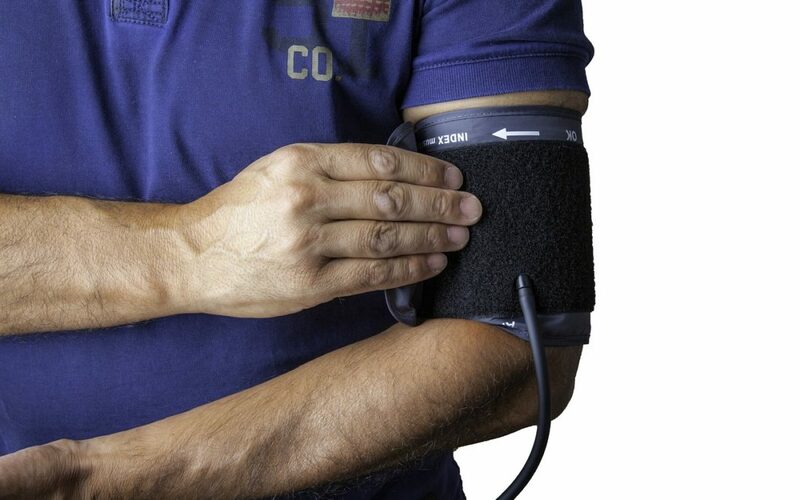 What does a blood pressure test do? It measures how hard your heart is working to pump blood. It uses an inflatable cuff that tightens around your arm and slowly loosens. As it loosens, a meter measures the pressure in your arteries when your heart pumps. A blood pressure test can be done by your doctor or nurse, at home, or in some pharmacies and grocery stores. Check your blood pressure regularly, and tell your doctor if you get a high result. Skipping doses of your medicine can be harmful to your health. If your doctor told you to take medicine to lower your blood pressure, take your medicine exactly how your doctor told you to. There are certain changes you can make in your diet that can help keep your heart healthy. Limit salt. Eat less than 2,300 milligrams (mg) of sodium (salt) per day. Limit unhealthy fats. Eat less than 13mg saturated fat per day and avoid trans fats (found on a nutrition label). Eat nutrient-rich foods like fruits, vegetables and whole grains. Smoking raises your blood pressure and can make kidney disease worse. Get advice from your doctor about how to quit. Exercise is important for heart health. Set a goal to exercise for 30 minutes a day, 5 days per week. Be creative! Try walking, dancing, or playing a sport. Even losing just a few pounds can make a big difference for your health. Talk to your doctor about how much you should weigh. Drinking too much can increase your blood pressure. Men should have no more than 2 drinks per day, women should have no more than 1 drink per day. Stress can raise your blood pressure. Work with your doctor to learn ways to manage and cope with stress.